A self-supporting congregation of approximately 150 communicants in the town of Fort Smith, Northwest Territories requires an ordained priest who feels a call to northern ministry, effective fall 2018. Fully-equipped Rectory provided in a peaceful community with multiple services, ideal for the young family. We work to proclaim the Good News of the Kingdom of God, as revealed through the life, death and resurrection of our Lord Jesus Christ, and through the power of the Holy Spirit. We work to enable all members of the Church to live out their Christian calling in parishes, the wider church, in society at large, and in the world. Our Ministry is fully-inclusive – all who have a wish to approach the Lord are welcome. Our Ministry is a community ministry – the Rector is expected to be part of the community and provide pastoral care to all. The Parish of St. John’s is part of the ecumenical community in Fort Smith. Have demonstrated passion for promoting and developing youth ministry in a community. Be called and encouraged to pastoral care in the community whether they shall be the first or the last. The Rector is supported by: Lay Leaders, Vestry, dedicated Wardens and an active Anglican Ladies Guild. Fort Smith is a multi-cultural community, being predominantly First Nations and Métis Nation peoples. The Rector should be comfortable working in a cross-cultural environment. 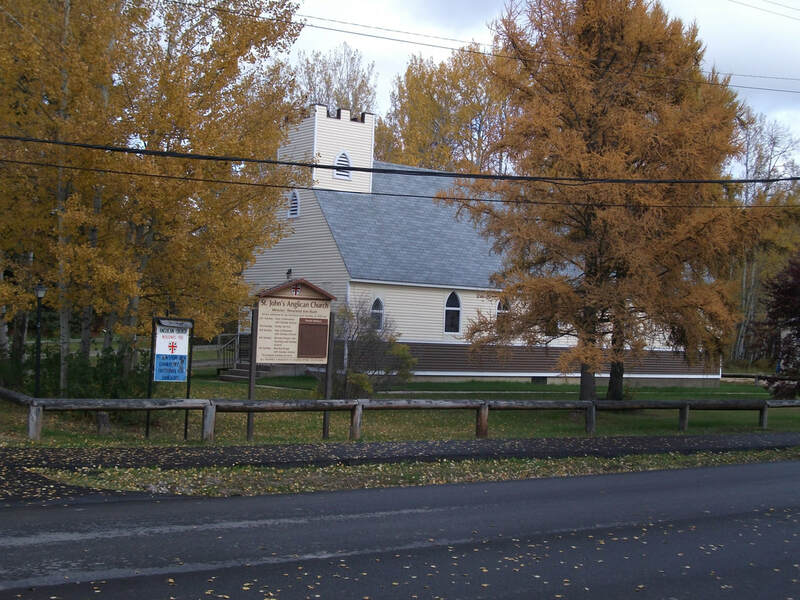 St. John’s Anglican Church provides regular worship to communicants from a variety of religious backgrounds (Anglican, Lutheran, Pentecostal, United, Methodist, etc.). St. John’s works in the ecumenical service of God in the community of Fort Smith with the Pentecostal, Roman Catholic and Baptist ministries. The parish of St. John’s works within the community of Fort Smith, providing outreach to two correctional facilities (River Ridge Men’s facility, Territorial Women’s Correctional Centre), and to patients at Care Homes and the Health Centre, not to forget pastoral visits to individuals. The Parish and Congregation are active participants in the Community Food Bank operated by the Ecumenical Group in the community. The Parish continues a music ministry drawing on the talents of the congregation and community members to provide spiritual worship through music. The parish operates a Kids Club open to all children in the community, Spiritual development continue through weekly bible study and prayer and praise gatherings. The parish delivers the Alpha course to communicants. Baptismal, Confirmation, and Marriage preparations are ongoing. The parish schedule includes an annual Fowl Supper in the fall, and the requisite Pancake Supper at the start of Lent, open to all of the community. At weekly services, welcoming of newcomers is encouraged. The Ladies Guild provides active fellowship in the parish, fundraising, continuing outreach to the community through event catering for special gatherings such as weddings and funerals. St. John’s Anglican Church, Fort Smith, through the wonders of God has been recently renovated and expanded, and now has a normal seating capacity of 125 persons at regular services, with overflow capacity to expand during special services. The Church Hall, a historic building, provides a venue for Church events (such as annual fall supper, pancake supper, and other community events). The Hall is available to community service groups providing a variety of services to the community. The Parish provides a fully-equipped Rectory, an older house but kept up to modern standards. The house has two bedrooms and bath up, and two bedrooms and a bath down, a large dining room, living room, sanctuary and office, and finished basement. 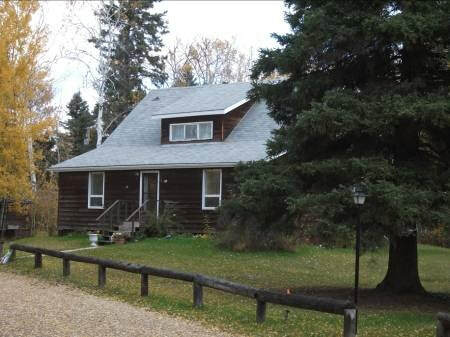 Fort Smith is located on the banks of the Slave River, on the historic voyageur route to the arctic, on the Northwest Territories-Alberta border. Nestled in the boreal forest along the banks of the mighty Slave River, Fort Smith is a friendly, multicultural community with a population of just over 2,400. The community is home to the headquarters and Thebacha campus of Aurora College, an education institution offering diploma and degree programs. Fort Smith celebrates its cultural diversity with a majority aboriginal (First Nations) population of Dene and Métis and a divers group of non-aboriginal peoples. 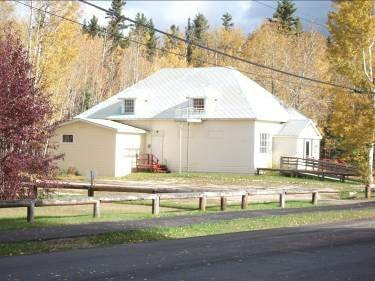 The town has a thriving cultural sector complemented by the presence of the Northern Lights Museum. The community is gateway to Wood Buffalo National Park, the largest national park in Canada and a UNESCO World Heritage Site. The park contains the nesting area of the endangered whooping crane and the largest free-roaming herds of wood bison. Fort Smith is a family town with two schools (elementary and high school), libraries, and modern recreational facilities including arenas, gymnasiums, year-round indoor pool, golf course, and national calibre cross-country ski and biathlon facilities. A recently completed trail (Thebacha Trail) through the Town complements the Trans-Canada Trail link located in the community. Fort Smith enjoys modern health facilities and services, including a fully-staffed health centre offering clinical services, complete social services professions including child and family services and community wellness programs, a licenced pharmacy, and private dental services. Fort Smith hosts a full spectrum of Aged and Handicapped services, including Senior’s residences from Assisted Living to full spectrum care for the aged, and a recently-opened facility for dementia patients. Outreach to these facilities is a continuing program of the Parish. Shopping facilities include two grocery and two dry goods stores, three hardware stores, two full-service service stations, a business supply store, and a number of convenience stores. There is a large Pentecostal congregation, a large Roman Catholic congregation, and a Baptist Mission. Ecumenical services are not uncommon. First Nations and Métis Nation peoples express their traditional cultural and spiritual views. You may find information about the Parish of St. John’s under the link Parishes.